The Pantiles Bride in Tunbridge Wells has a fantastic 2 day sample sale coming up on Friday 2nd and Saturday 3rd August 2013. With dresses from the likes of Ian Stuart, Sassi Holford, Suzanne Neville and Jenny Packham, from just £495, you’d be mad to miss it. Want something in common with Victoria Beckham and Jennifer Lopez’s wedding day? 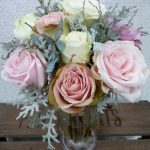 Well now you can, as celeb bridal designer, Vera Wang brings her unique designer style to Kent this month through beautifully designed wedding flowers. The Vera Wang Wedding Collection is also available to view at the Interflora Inspiration Gallery or pop down and see the team at Katie Jane for more info. Stephanie has just launched her 2013 ‘Night and Day’ Collection which will be in store around September. But if you can’t wait until then to take a look at some of her designs they have a sample sale on the 23rd and 24th June at Chiltern St, London. No appointment is necessary, just visit the website for more info. To see her stunning designs up close in Kent visit Isabella Grace, Tunbridge Wells. Welcome to the final part of our planning a vintage wedding special and what a way to finish – it’s the all important dress! You have a big decision to make here as you can go one of two ways. Real vintage or well…sort of…. modern vintage i.e. brand spanking new but with a vintage style. You are literally spoilt for choice. First let’s start on preloved (wedding speak darhhhling for second-hand). A true vintage wedding dress isn’t as easy to find as you’d think. Firstly it depends on what era you are going for, even now the 80’s gets the vintage label in some circles, so you will need to be selective. If you are going way back it’s always going to get more difficult, so unless you have Granny’s dress waiting in the wings prepare yourself for a lot of leg work. One of the best places to start is dedicated online website Preloved Wedding Dresses. They have over 10,000 new sample and used wedding gowns, some of which are truly vintage. You might also find a hidden gem of a vintage style dress that fits nicely into your not so vintage budget. You can also try The Vintage Wedding Dress Company, although they haven’t got a stockist in Kent their flagship store is in Central London. Run by renowned stylist, Charlie Brear, it’s well worth the trip into the big smoke to join its growing number of celebrity fans. 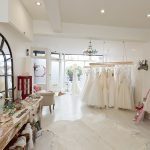 There’s also some vintage boutiques to try closer to home including Bridesdressrevisited in the little Kent village of Otford, where you can make an appointment to view their full collection of preloved dresses. If second-hand just isn’t you then there are some brilliant designers who offer vintage style dresses. Here are just some of our absolute favourite dresses available now from Charlotte Balbier, Candy Anthony, Claire Pettibone, Charlotte Casadejus and Johanna Hehir. 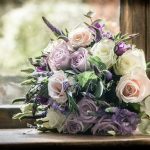 For more inspiration on planning vintage weddings in Kent then take a look at Vintage Kent Directory where you will find lots of suppliers to help you in your quest. And if you are planning a vintage wedding don’t forget to share your experience with us here! We are officially jealous. 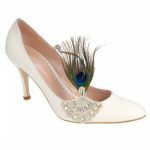 We have just seen first-hand one gorgeous pair of Jimmy Choos’ from the Bridal collection – only problem is they belong to a bride and not us. 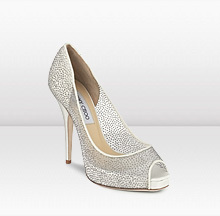 Still there’s no harm in looking, ahem, so visit the Jimmy Choo website and check out these beauties for yourself. We’ve narrowed our favourites down to these five but as the saying goes though, one pair are never enough! This is really… ahem… for the grooms-to-be. If you need a gorgeous wedding gift for your bride then you will want something that will last her a lifetime. Do not think about buying perfume or underwear sets. What you need son is a gorgeous designer handbag. Trust us we know. 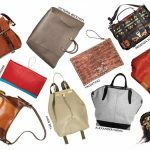 Take a look at latest to hit Net-a-Porter and purchase one immediately. Your credit card might not thank you but your bride will. And thats what counts! We had a really tiring but fun day at the Leeds Castle Wedding Show and it was such a great way to meet all the local suppliers whilst sipping champagne! With such a unique and brilliant range of friendly and knowledgable Kent suppliers on tap that we feel very glad indeed that it’s our stomping ground. We caught the last catwalk show of the day (which was minus Claire Sweeney). The catwalk show was fun and the models did a great job – however the goody bag certainly lacked a little bit of oomph and the large amount of empty audience seats made it feel a bit half-hearted. However it was a good way at seeing some of the dresses and wedding outfits in action which you wouldn’t have got otherwise. Overall the show is worth a visit if you are in the area but some of the free ones offer just as much info and ideas (albeit without a catwalk show). It seems to be a case of good but try harder next year Leeds Castle!